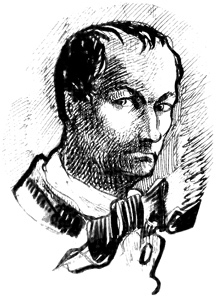 Baudelaire's poetry was well-known long before it was collected in Les Fleurs du mal in 1857. A few scattered poems had appeared in journals and reviews, and Baudelaire had also achieved notoriety reciting his lurid verses aloud. Several times he announced that he was going to publish a collection of poems, giving titles such as Les Lesbiennes (The Lesbians) and Les Limbes (Limbo). However, the definitive title was not to come until 1855, when "fleurs du mal" was suggested by his friend Hippolypte Babou, and publication was not to come until 1857, when his friend Auguste Poulet-Malassis printed the first edition of "ces fleurs maladives," as Baudelaire wrote in the dedication. Les Fleurs du mal appeared on the bookshelves of Paris in June 1857. Eleven hundred copies had been printed for sale, with an additional twenty copies hors commerce printed on fine paper. Within a month, the French government initiated an action against the author and the publisher, accusing them of outrages to public morality. On August 20th, a French court acknowledged the literary merit of the book as a whole but demanded that six poems be deleted on moral grounds. In a pattern now familiar, however, the trial only served to create a sensation, and by the following summer the initial printing of Les Fleurs du mal was sold out. The six poems censored from the first edition are indicated below by red guillemets like this ».